This summer has been the best cycling weather since 1976 (the year of my birth). But, for the past five weeks, I have had a virus/bad cough so no cycling, apart from a slow meander into town. The idea of racing a bike seems hard to conceptualise at the moment. But, there is just enough competitive spirit to get a bit fed up with getting overtaken by 50% of commuters on the way into town. Since I have not pumped up my tyres for several weeks, I decided this must be the source of my slowness. So I thought I would make use of a public-spirited free bike pump on Magdalen Bridge. It’s an excellent idea to provide free air. As you can often need a bike pump in town. Anyway, I attached the tyre, but all it succeeded in doing was letting all the air out. Unfortunately, it didn’t work at pumping air back in – so I was left with a flat tyre. Public goods, free at the point of use is a great concept – even if leaves you stranded in town. You half expect to see a bike pump with requires a credit card payment for 50 seconds use. So I had to walk all the way to the other end of town to the ever generous Bike Zone who kindly lent a pump, which enabled me to get home. 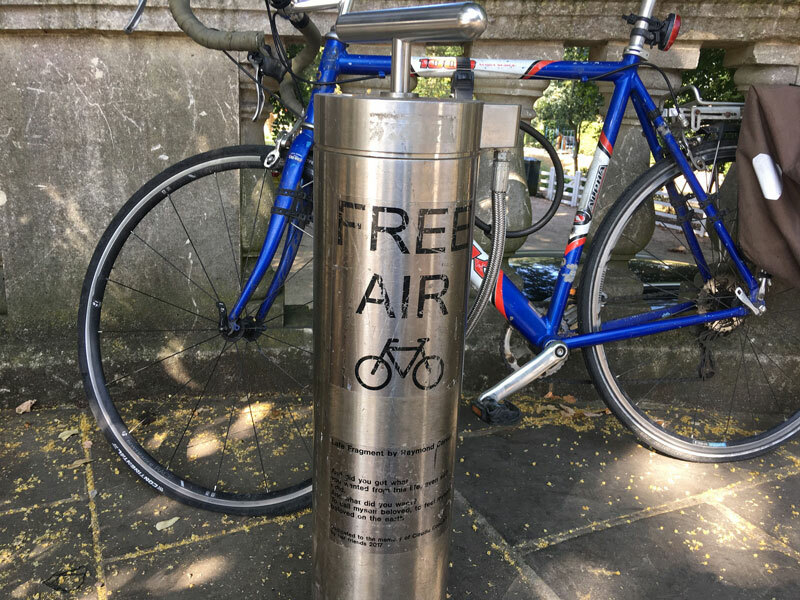 If you’ve wondered why I have only written five cycling blogs this year, this episode of a non-working public bike pump is about as interesting as my cycling experiences have been. It seems my cycling friends are managing epic rides. Team-mate Vilas Silverton cycled 5,000km+ across the continent of Australia. Michael Broadwith did a short ride too. I am still doing a bit of exercises (egoscue) to try and cure the long-standing hip problem. I have also found some yoga exercises called the “Fountain of Youth“. It is supposed to keep your body young so if I ever get round to racing as a veteran I will have the body of a 30 year old, marvellous!